ISLAMABAD, May 10, 2018: Speaking on the floor of the House, Senate Opposition Leader, Senator Sherry Rehman called for changes to strengthen the foundations of the Senate. Rehman said, “The Senate of Pakistan must have powers to vote for the National Assembly’s Money Bill and not only give recommendations. The Money Bill is the Parliament’s most important piece of legislation. It is Pakistan’s road map for the year. Given that the Senate represents the crucial balance of powers between the province and federation the Upper House must be allowed to vote on it in the larger interests of the country”. “Last year, we unanimously passed a Resolution in the Senate which says that this House recommends the government make necessary amendments in the Constitution of the Islamic Republic of Pakistan 1973, to empower the Senate of Pakistan to block the Money Bill, including the Finance Bill. The Senate of Pakistan has called for these changes in the past as well, but nothing was achieved” the Senator continued. The Senate must be empowered and all the members of the Senate should be united in one common goal which is strengthening the powers of the Upper House. 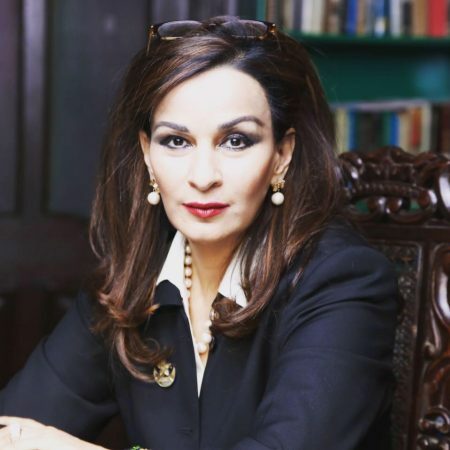 Making her case, Rehman cited examples of how other countries have strengthened their federations, “The Senate in Thailand rejected controversial amnesty and finance bills on numerous occasions. Moreover, the United States Senate, Senators have the exclusive powers to conduct impeachment trials of Presidents and other high ranking officials as juries and judge. They have tried 17 federal officials including two presidents”. The Vice-President of PPPP added, “This is not about politics; this is about the importance of strengthening the Senate of Pakistan which is extremely important for our people. We need the Parliament to become a House of public service for the people and we need to make an action plan with all stakeholders in the Senate”. “The Senate must be empowered and all the members of the Senate should be united in one common goal which is strengthening the powers of the Upper House. Only a strong and powerful Senate could protect the interests of the federation and its federating units,” concluded the Senator.